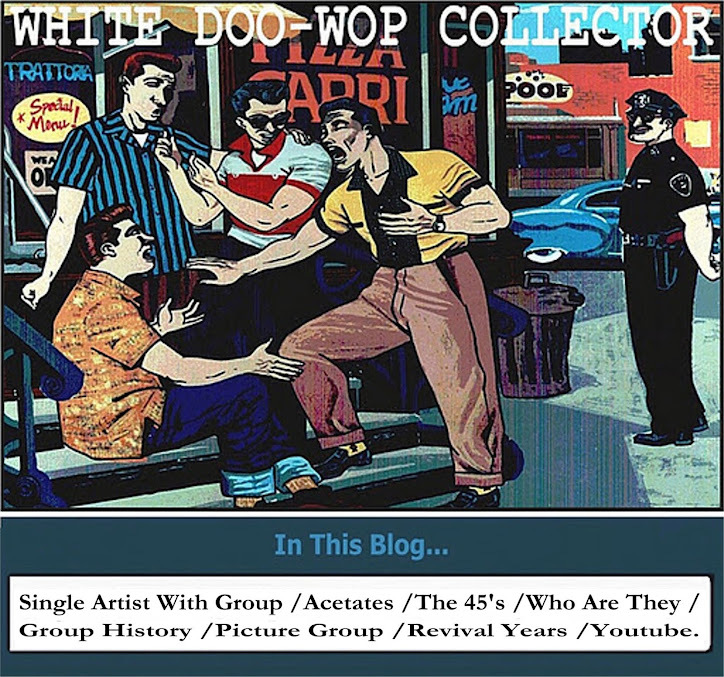 This interracial band from Baltimore,Maryland is present in all the doo wop guides with_Stupidity/King Of Fools. recorded for Atlantic Records in 1962 but really they don't have a doo wop sound. 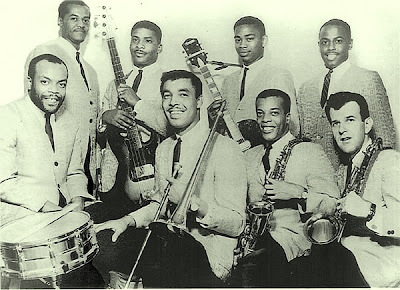 The A side was witten by Salomon Burke for the band and later recorded by Salomon.the band consisted of Sitting from left to right: Roland Brown (drums), John Bryan (trombone), Albert Brown (alto sax),Calvin Offer (Lead Vocal) . Standing from left to right: Lonnie Brown (piano), Joe Wood (bass), John Coates (guitar) and white member Delbert"Del"Puschert(Tenor Sax) .